Catholic humour almost seems like an oxymoron to the secular world, especially to cradle Catholics who no longer practice. Visions of grim, fasting, penitent saints wearing hair shirts rise up as phantoms from their childhood. Yet the truth is the saints are joyful, lighthearted and even funny. Enjoy this sample of Christian and Catholic humour, created by religious people who have learned to laugh at themselves. Can You Joke About Religion? We are free to laugh and even enjoy religious humour because people who are secure in their faith understand their Father in heaven chuckles along with them. God actually has a sense of humour. It is good to laugh at ourselves. Thomas Merton wrote deep insights on contemplation and society but even he says that we often take ourselves too seriously. “I think the chief reason why we have so little joy is that we take ourselves too seriously. Joy can only be real if it is based on truth, and since the fall of Adam all man’s life is shot through falsehood and illusion.” The best response to life’s absurdities and our own weaknesses is laughter. Melanie Once when Merton was asked how you can tell if a man has been through inner transformation, he replied that it was very difficult to tell, but it is usually accompanied by a wonderful sense of humour. So with these thoughts in the back of my mind, I present some Catholic humour for your enjoyment. 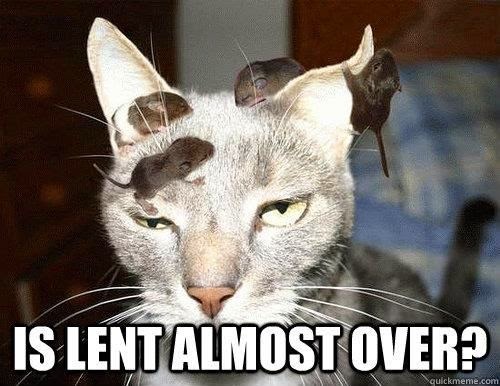 Some Catholic Fun: 7 quick takes to make you smile because sometimes we take ourselves too seriously. Should You Smoke While You Pray?